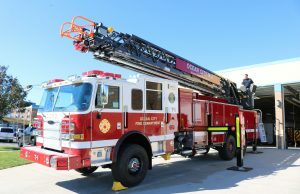 Costing just shy of $1.1 million, the Ocean City Fire Department’s new ladder truck is a high-tech wonder that will be a centerpiece of public safety. Fire Chief Jim Smith explained that the truck’s 107-foot-high aerial ladder is needed to fight high-rise fires that could strike the taller hotels and condominiums in town. A local government watchdog group submitted an amended petition Monday as it continues its efforts to force a public referendum on Ocean City’s proposed $9 million purchase of strategically located land. Fairness In Taxes has been trying to collect enough signatures from registered voters to put the land deal on the ballot, although Mayor Jay Gillian believes a public referendum would likely kill the transaction. Nearly 200 people braved the gloomy weather Saturday morning to venture out on Ocean City’s beaches from one end of the island to the other – from the Ocean City-Longport Bridge to Corson’s Inlet. Instead of toting around beach chairs and umbrellas, they carried large trash bags and were wearing rubber gloves. 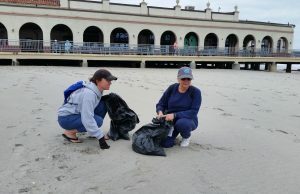 Now in its 33rd year, the city’s fall beach cleanup brings environmentally conscious volunteers together in a communitywide effort to remove litter from the sand and dunes. 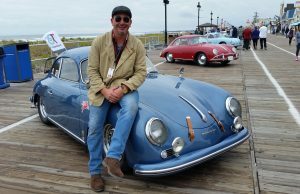 Millions of dollars of vintage Porsches from 1948 to 1965 graced the Ocean City Boardwalk on Saturday. Organized by the Porsche 356 Registry, the "East Coast Holiday" car show attracted plenty of admirers. 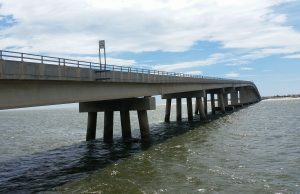 The agency that oversees five bridges connecting Cape May County’s seashore towns along the Ocean Drive approved a 2019 operating budget Thursday that does not include a toll increase. Patrick Rosenello, chairman of the Cape May County Bridge Commission, said that although there is no toll increase included in the $3.9 million budget, the agency will not rule out the possibility of a fare hike to help finance its long-range construction and maintenance projects. 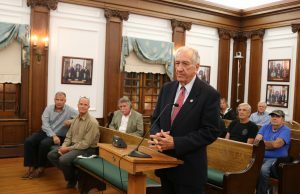 Former Ambassador Bill Hughes, calling on his diplomatic skills, urged both sides in the emotionally charged debate over Ocean City’s $9 million purchase of a large tract of land to resolve their differences to avoid a possible drawn-out court fight. Hughes threw his support behind the property deal during remarks Thursday night at a City Council meeting that once again highlighted differences between city officials and a local taxpayers group over the purchase. 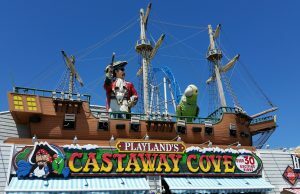 A petition drive for a public referendum that would have given voters the final say on Ocean City’s $9 million purchase of a large tract of land failed to collect enough valid signatures, the city clerk ruled Wednesday. However, the group that organized the petition drive disputed the clerk’s findings and said it will refer the matter to its attorneys for a possible court fight to keep the referendum effort alive. 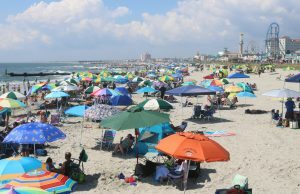 Ocean City’s beach tag sales for 2018 were much like the summer weather – erratic, full of surprises and somewhat disappointing. Mixing humor with some stark statistics, Frank Donato, the city’s chief financial officer, called beach tag sales “a story of the good, the bad and the trending.” Overall, beach tag revenue came in at $3,936,000, falling short of the $4 million-plus mark in each of the previous four years, Donato reported. The city’s all-time high of nearly $4.2 million in revenue was set in 2015. 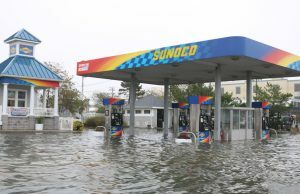 Ocean City’s proposed $9 million purchase of nearly a block of property “makes perfect sense” and must be completed before the opportunity is lost for the public’s benefit, according to a prominent local developer. 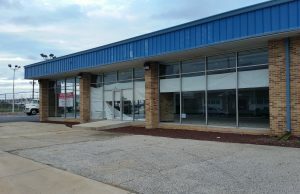 The strategically located land would connect Emil Palmer Park, the Ocean City Community Center and other facilities already owned by the city in a public corridor stretching from 15th to 20th streets, Sean Scarborough said. “This affords synergistic planning opportunities for decades to come. 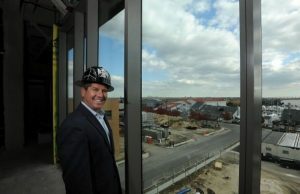 The assembled property is worth more than the sum of its parts,” said Scarborough, an Ocean City resident and owner of Scarborough Properties, a commercial and residential development company.